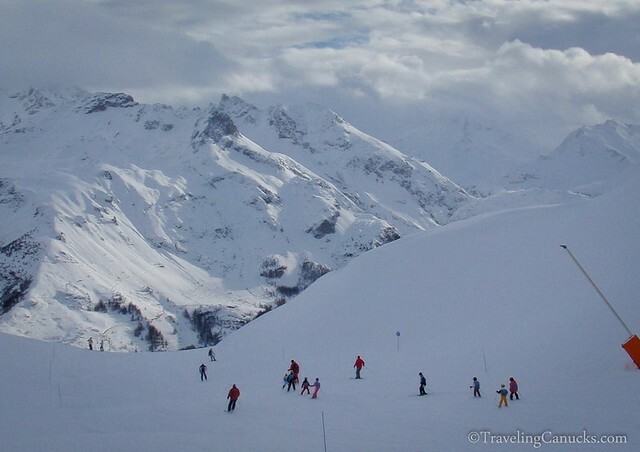 We love everything about ski resorts and alpine villages. The crisp, fresh mountain air. The gorgeous snow-capped peaks. The morning chair lift up the mountain. The anticipation of fresh powder runs. The afternoon beer(s) after hours of playing in the snow. 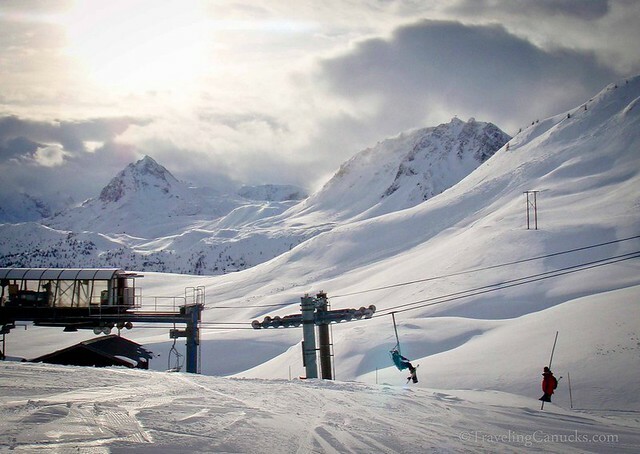 We’ve spent a lot of time snowboarding in British Columbia but always dreamed of one day snowboarding Europe’s celebrated Alps. So, when we found ourselves traveling around Europe during winter, we knew that our time had finally arrived. 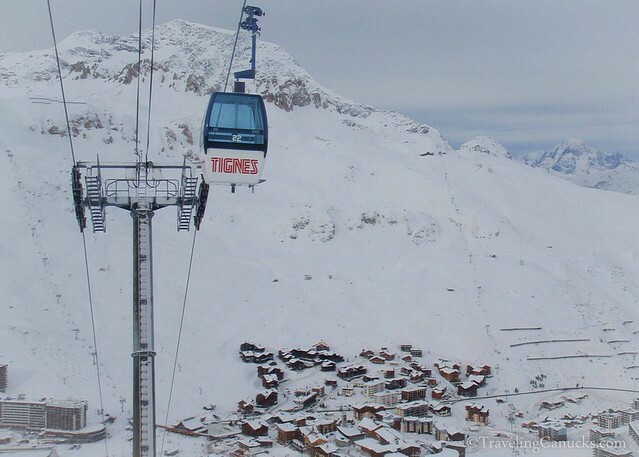 We decided on Tignes in the Tarentaise Valley of France’s Northern Alps, a region that boasts the highest concentration of world-class ski resorts in the world. It’s also the freestyle skiing venue for the 1992 Winter Olympics in Albertville. 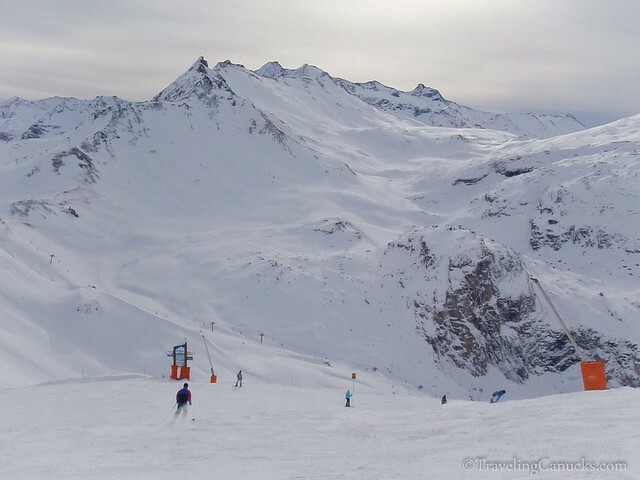 Tignes and neighbouring Val d’Isère combine to make up the Espace Killy, a massive ski area that covers over 300km of terrain and 90+ chair lifts that transports skiers and snowboarders to over 150 marked runs. 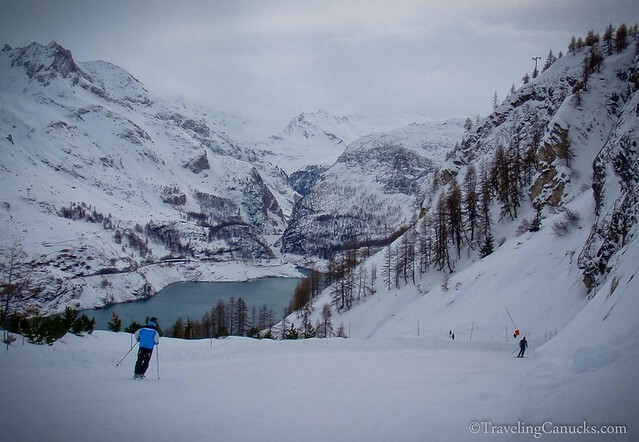 We spent five days over the Christmas holidays in a small alpine village named Tignes-les-Brevières. 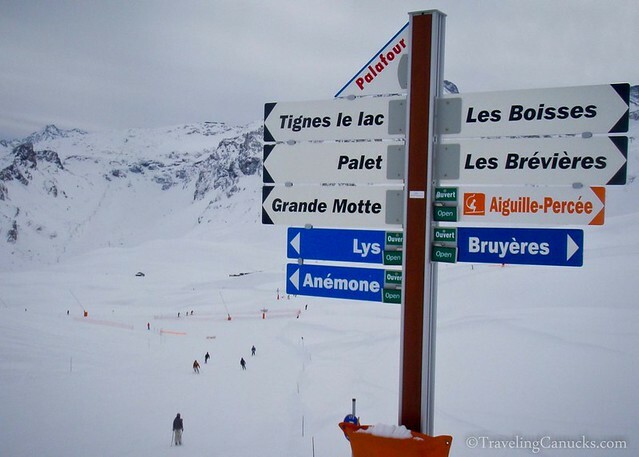 Tignes-les-Brevières is surrounded by trees because it sits at a lower altitude than the other villages that make up the Tignes Ski Resort. 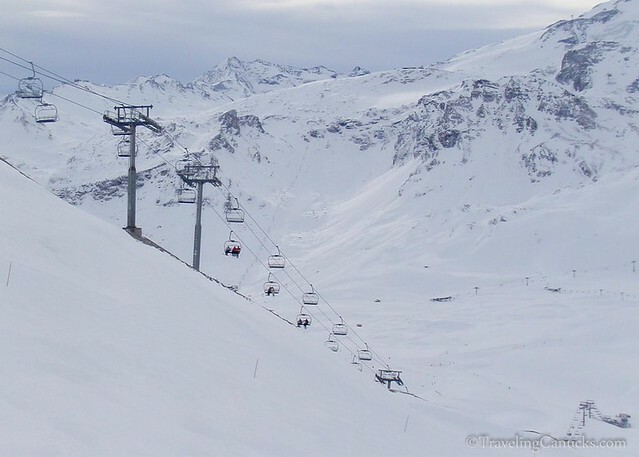 The alpine villages are connected by a network of chairlifts and gondolas, making it fairly easy to get around (assuming you’ve got your ski’s or snowboard). 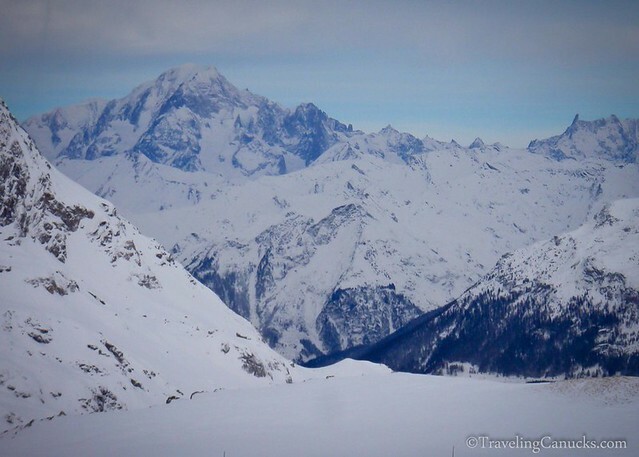 Here are a few photos from our action-packed ski trip to the French Alps. Look at all that fresh powder under that chair lift in the distance! Nicole ready to rock this bowl! Catching some freshies on Christmas morning! 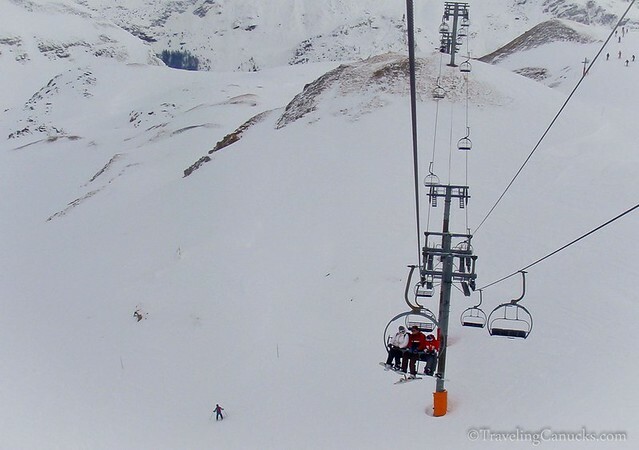 Every chair lift took us to different terrain – it’s a MASSIVE ski area! Christmas morning session – we had the mountain all to ourselves! Do you like to ski or snowboard? 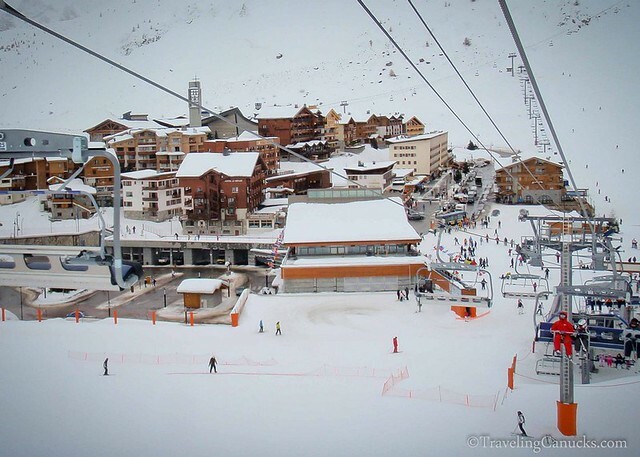 Where is your favourite ski resort? Share your favourite spots in the comments section below, we’d love to check it out! 9 Cities in Europe We Think You Should Visit and Why We’re going to Portugal on a River Cruise! Thinking about a European River Cruise? Here’s what you need to know. I love how you guys are always heading to the snow. I miss these kinds of trips and this place sounds amazing! Good choice! I have not made it to Tignes yet. 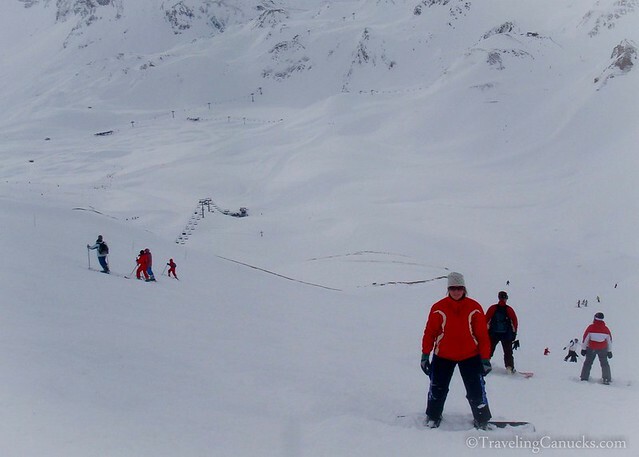 Espace Killy is renowned for its off piste. 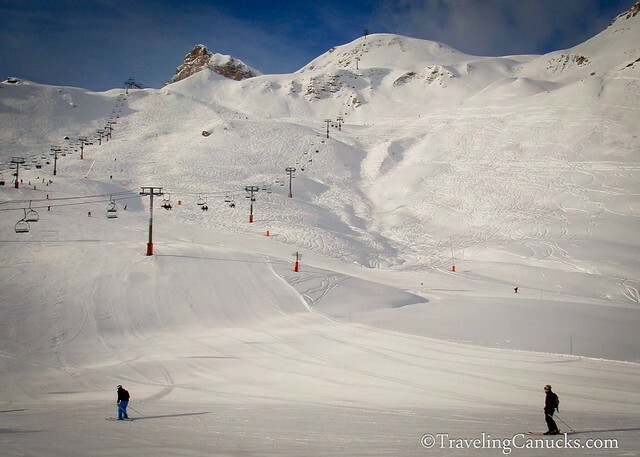 Christmas and January was amazing for fresh snow in the Alps this winter. I have spent all winter at Chamonix not a massive resort if measured by km of piste but plenty of challenging off piste to go at. 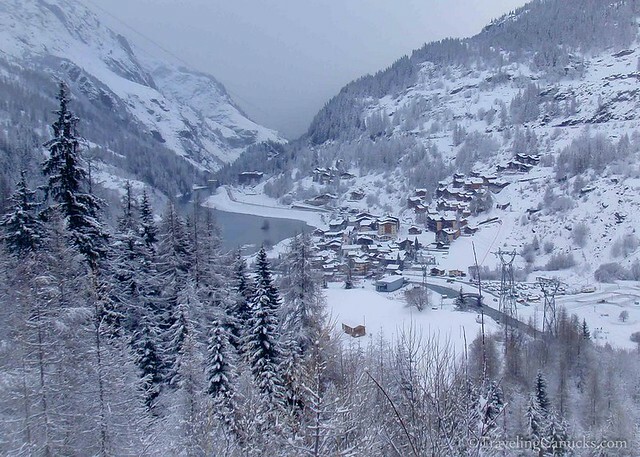 In addition the Mont Blanc Unlimited Pass includes the huge resort of Verbier in Switzerland and Courmayeur in Italy. 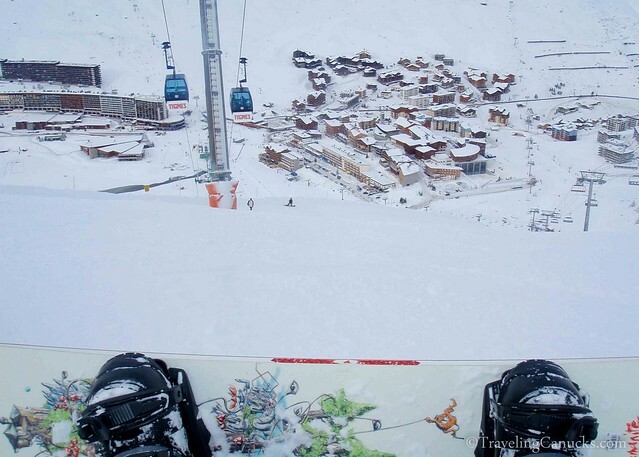 As a snowboarder I like Avoriaz in the Portes du Soliel. Looks like amazing terrain. Did you get any fresh snow on your visit? After spending a season snowboarding in Banff I’ve turned into something of a powder snob. Snowboarder, Revelstoke mountain in Canada was my favourite. Yes – we got lots of fresh snow on Christmas morning, about 10-12 inches! We have yet to visit Revelstoke in the winter, but its high on the list – maybe next year?! I’m more into looking at the beautiful pictures than actually…you know… putting a boot in the snow. So thanks for these gorgeous pix. My favorite ‘resort’ is Arapahoe Basin in Colorado. I use the term resort loosely as it is doesn’t have many resort amenities – the focus is clearly on skiing and snowboarding and nothing else. Montezuma Bowl on the backside is incredible. I’d love to visit the mountains in Colorado one season. I’ve heard a lot of great stories from some close friends hit that area every season – next year perhaps?! Indeed, a winter wonderland! Looks like a fantastic place to go snowboarding. 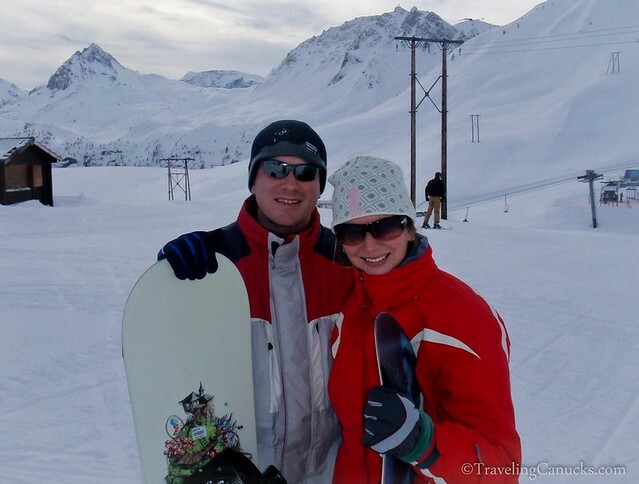 It was one of the best snowboarding trips we’ve been on – we spent five days there and probably only hit about 40% of the mountain terrain! Beautiful pictures 🙂 The French Alps are etched in my mind forever – so stunning! I just wish I had an aptitude for skiing so I would have an excuse to go back! Very wonderful photos! I really love to learn this snowboarding but it really look so dangerous..
Snowboarding really isn’t that dangerous. You just need to make sure that you don’t ride terrain that is above your skill level. 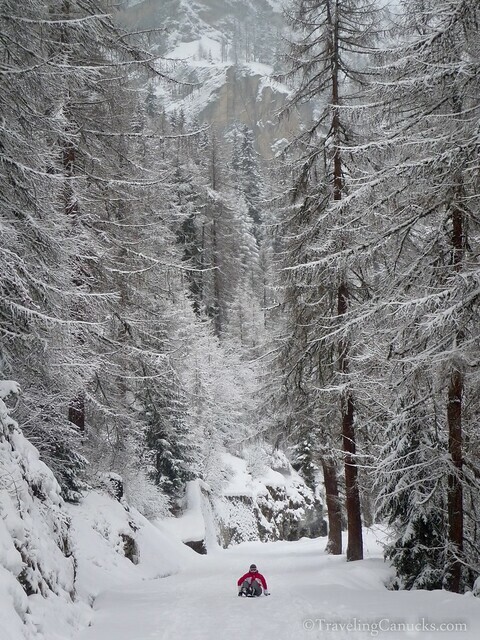 Unbelievable… I need to get skiing in the alps I think! I have skied in the US and Japan before but not in Europe yet. Planning to do so soon though. Beautiful photos! Looks like you had a great time! 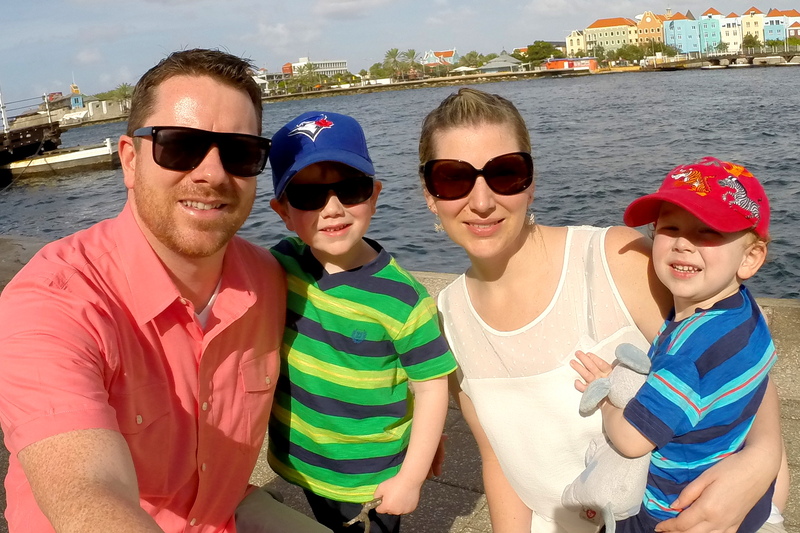 Thanks Brock – we certainly did! 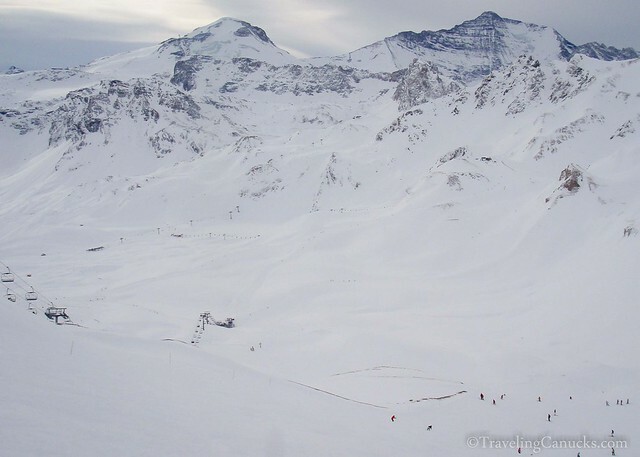 If you’re going to go snowboarding, the French Alps sound like an awesome place to do it. 🙂 We’re currently in the French Pyrenees, and though we’re down in a (warm) valley, there’s lots of snow up on those mountains! I’ve never been snowboarding somewhere with this kind of powder. Looks incredible! 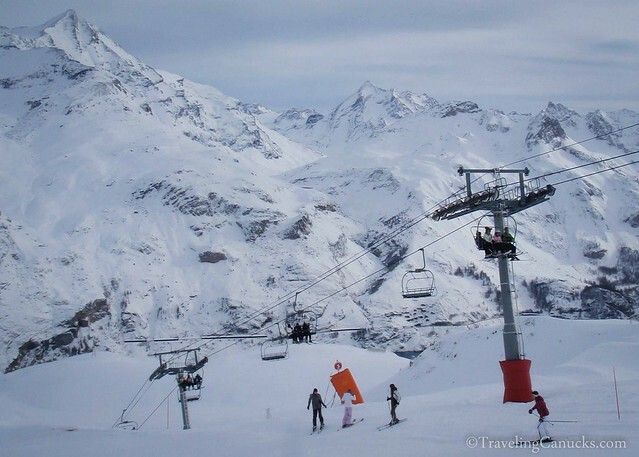 Skiing in the French Alps is still a dream for me. I remember Jean-Claude Killy in the Olympics at Val d’Isère — even though I was very, very young, of course :). It would be so cool to ski there. Love your photos. 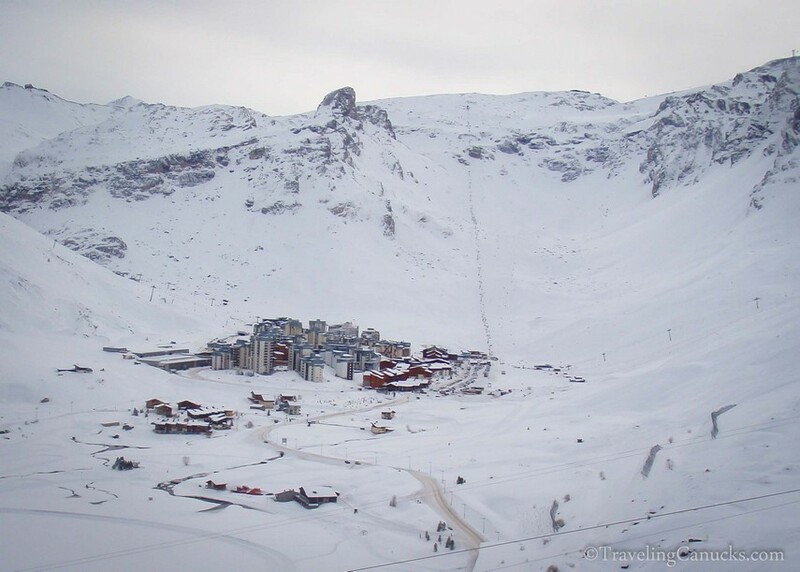 I had one look at the thumbnail and I knew it was Tignes. 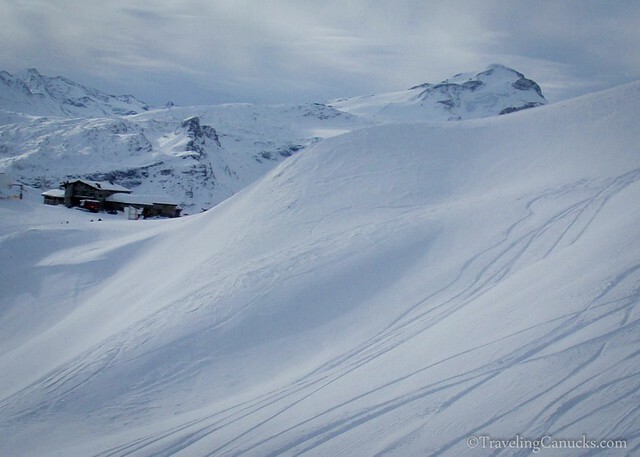 I skied there for three weeks years ago and loved the variety and amount of terrain – not too mention the fantastic waffles for sale at the bottom of the hills. Snowboarding is more dangerous as the child will be put in an un-natural position and will be prone to breaking their wrists when falling. Awwwwww! This is really cool… Actually, I don’t have any guts to do the same way. But my husband love Snowboarding so much…..
Wooow…great pics..it seems you people have really enjoyed a lot. French Alps are truly majestic. 🙂 I love skiing very much. Explore the lodging options in Cottage Grove. This city is also about 7.5 miles from the ski area. Here you will be able to find more luxurious lodging for reasonably affordable rates. WOW thats looks incredible. So jealous, I want to be snowboarding again. Looks like an incredible adventure. Ah how beautiful! I’m a keen snowboarder, too, and been snowboarding on Mt Doom’s neighbour (Mt Ruapehu on NZ’s North Island), in Norway, Austria, Germany and the Dolomites in Italy. 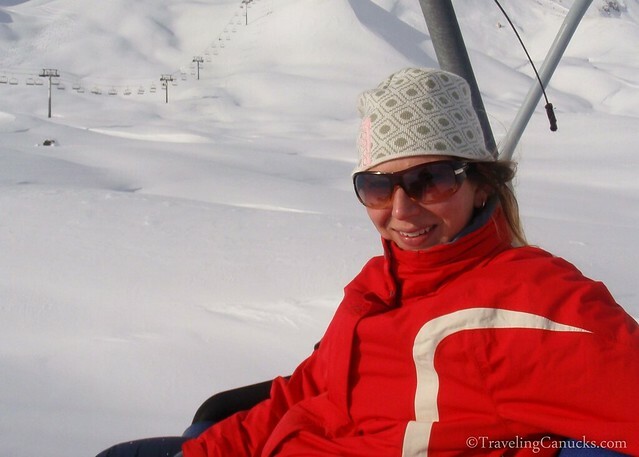 I honestly can’t say which place was more spectacular – the volcanic landscapes of Tongariro National Park, the fjords you can see from the slopes in Norway, the majestic Dolomites and great Italian atmosphere… all pretty aweseome! Wow! 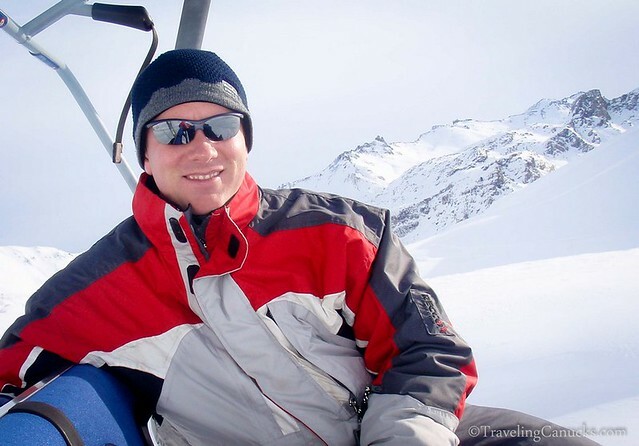 its been a while since my last visit to your site, to be honest the collection of photos that you have shared is quite impressive, many people wish to travel in that place specially climbing up the French Alps, how I wish I can be there too. Snowboarding is quite an adventurous sport, though it is a little bit scary. The Alps is such a great place to tour especially on a vacation. I will plan and visit it someday. By the way those photos are amazing. Thanks Kim. It’s not too bad once you get the hang of it! After looking at these shots France it is for us next year! Great photos. The place is perfect for snowboarding.